The AR-15 has been produced in many different versions, including numerous semi-automatic and select-fire variants. It is manufactured with extensive use of aluminum alloys and synthetic materials. AR does NOT stand for assault rifle. It is based on the AR-10, which stood for Armalite Rifle. In 1963 Colt introduced the AR-15, a civilian version of the M16 rifle. Due to its component-based approach, its accuracy, and its weight, it has become a popular civilian rifle for competition shooting, hunting, and home defense. A fixed-magazine rifle is an AR-15 which has a fixed, non-detachable 10-round magazine. In such a configuration, otherwise prohibited features such as a telescoping stock, pistol grip, and flash hider may be present. The magazine cannot be detachable, so to load the rifle the shooter must either "top load" or use a tool to release the magazine (such as the tip of a bullet in a "bullet button" equipped rifle). To top-load, the shooter must pull the rear takedown pin, hinge the upper receiver on the front pivot pin, and load the exposed magazine. If a rifle has none of the prohibited features (pistol grip, telescoping or folding stock, flash hider, grenade/flare launcher, forward pistol grip), the rifle may be used with legally owned large-capacity magazines and a standard mag release. There are several products available on the market to configure featureless rifles. The California DOJ Bureau of Firearms has attested under oath that the U-15 stock, the Hammerhead Grip and the MonsterMan Grip do not constitute a pistol grip and are therefore legal when used on a detachable magazine semiautomatic centerfire rifle with none of the features listed in CA PC 30515(a)(1)(A-F). Production rifles from manufacturers like, Colt, Smith and Wesson, Sig Arms, Daniel Defense, and many others offer a warranty and a guarantee that all parts fit and operate as designed. A un-modified production rifle can last you decades with the right care. The convenience of buying a pre-built production rifle is great because you can be out at the range shooting in no time. If you are planning on competing or shooting very often you may want to modify a production gun to be purpose-built for your specific performance and ergonomic needs. You can decide to upgrade the gun in stages to ease the stress on your wallet and keep you shooting while you design your perfect AR build! If you love building things, a custom built AR rifle may be the route you want to go. Building the rifle from the ground up allows you to satisfy your specific needs and create something truly one-of-a-kind. Select every individual part based on performance, ergonomics, or appearance to build your dream AR rifle! Peninsula Guns carries some of the finest fully built AR rifles on the market. Whether you want something entry-level or top of the line, there's a Brand and Model that will suit your needs. Peninsula Guns carries Colt, Smith & Wesson, Daniel Defense, Sig Sauer, Spikes Tactical, LWRCI, and many other rifle brands. 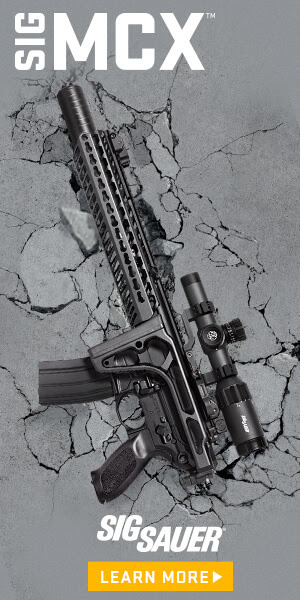 Every brand of AR rifle is made to the same spec so that you can mix and match most parts with 100% reliability. The AR rifle can be broken down to two main parts, the upper and lower receiver. The lower receiver is the one part that has a serial number so it is treated as the firearm and the rest of the parts are considered accessories. A fully built upper receiver comes with the upper receiver and all parts needed for it to be pinned to any lower receiver of your choice. The upper receiver holds the barrel, the handguard, the charging handle, the forward assist, the bolt carrier group, and the dust cover. Fully built upper receivers come with all of those parts installed. A fully built lower receiver comes with the lower receiver and all parts needed for it to be pinned to any upper receiver of your choice. The lower receiver houses the trigger, the grip, the buffer tube and buffer, the stock, the bolt release, and the magazine release. It isn't common to find fully built lower receivers because most people will build up a stripped lower receiver with a simple parts kit, the grip and stock of their choice, and a performance or match trigger. A stripped receiver means that is just the metal receiver with no other parts installed. If you want to build an AR for the lowest cost possible, you can buy an inexpensive stripped lower receiver made from aluminum alloy as the starting point for your build. Stripped receivers are not just for budget builds! If you wanted to do a premium custom build, there are companies that provide matched receiver sets. A matched receiver set is usually machined from one piece of forged 7075 aluminum. The upper and lower receiver are cut and finished from the same block of aluminum, giving it a solid one piece look and feel. Remember, the lower receiver is the serialized part of the firearm and is treated as any other firearm purchase. The rest of the components are accessories which can be purchased over the counter at the store any time you choose. Receivers come in many materials, finishes, and styles. You can purchase a stripped lower receiver as the starting point for any custom build. The gas impingemment system is what drives the bolt back and is how the rifle charges itself after each shot. Gas systems allow the hot gasses from the combustion to travel through the gas block and down a small tube, sending the bolt backwards and ejecting the spent round. When building your rifle remember, gas systems become less dependable the shorter they are due to the speed of the gasses traveling down the barrel. Unless you want a 20" barrel AR rifle you will want to opt for a mid length gas system. Make sure your barrel, gas block, and handrail are all compatible with the length gas system you choose. Many people say Piston vs Gas Impingement like it is a major consideration before building a rifle. Both work, and they work well. The only reason one would ever NEED a piston driven system is if they were building a rifle that had a short barrel. Gas impingement systems get unreliable with the higher pressures of a shorter barrel and gas system. Most of us in California are building rifles with 16" barrels so a piston driven system is more of an option than a need. Piston driven rifles are much cleaner as they are not pumping gas back into the receiver, but the dirt ends up collecting at the gas block instead. Some say they run cooler, and the bolt-carrier does stay cooler but the heat goes to the gas block instead. It's a toss up, but either way is going to give you a high performing rifle for years to come. The bolt carrier group is the jewel of the build. The BCG, as well as the barrel and magazine, determine the caliber of the gun. This is the one moving part in your firing system so it's important that it has a highly refined fit and finish. Several companies provide chromed or nickel boron coated bolt carrier groups with superior machining and finishes. The trigger group is often a standalone and drop-in replacement unit that easily pins inside your lower receiver. Every thing from mil-spec to competition triggers are on the market with different finishes, trigger pads, and weights. We recommend a performance trigger that feels good to you. The handguard is often a beautiful piece that gives the rifle a specific look and function. If you haven't purchased a fully built upper receiver you actually get to pick out your handguard. There are many options i.e., quad rail, keymod, free-floating systems etc. You want to pick something that is comfortable and accommodates your gas system and tactical accessories (lights and lasers). You can pick the length of the handguard, the shape, and the finish from a wide variety of manufacturers. The charging handle is something you're going to use when charging the rifle. You want it to look good, feel good, and function smoothly. High performance charging handles are made from a wide variety of manufacturers in many styles and colors. The grip may be the most important part of the ergonomic setup for you. A wide variety of grips are available in different styles, materials, and colors. We recommend models from Magpul, Ergo, and Hogue. The buttstock for your AR rifle build is very important. You want it to be lightweight yet supportive, and be as functional as possible. Collapsable stocks with adjustable cheek rests are great for benchrest shooting and more streamlined stocks are better for holding the rifle while standing. Magpul stocks are a common go to at Peninsula Guns and they make a wide variety of options. Depending on what types of shooting you will be doing you can choose a stock that has a great fit and feel while being as functional and light as possible. The magazine release is an important part of the rifle and something that is a bit controversial in California. Most AR rifles with pistol grips, flash hiders, and removable magazines are considered assault weapons. Assault weapons require the owner to pay and register it with the DOJ as such. The reason so many ARs are on the shelves of shops and in the hands of consumers is due to a product called the "bullet button". The "bullet button" is a magazine release that requires a small tool, or the tip of a bullet, to depress the release and drop the magazine from the rifle. You cannot configure a rifle in California without a permanently attached magazine or the use of a bullet button. If you have an AR that has been registered as an assault weapon, you are free to use a standard AR mag release. Dust covers are not needed by most sporting shooters but are common to the AR rifle. A dust cover seals the open chamber and bolt from dirt while not operating the rifle. Once the first rounds is fired, the dust cover springs open and stays open until manually closed. These come in many finishes and often have a funny phrase written on the inside of the cover. Have fun personalizing your rifle with this small and inexpensive accessory.